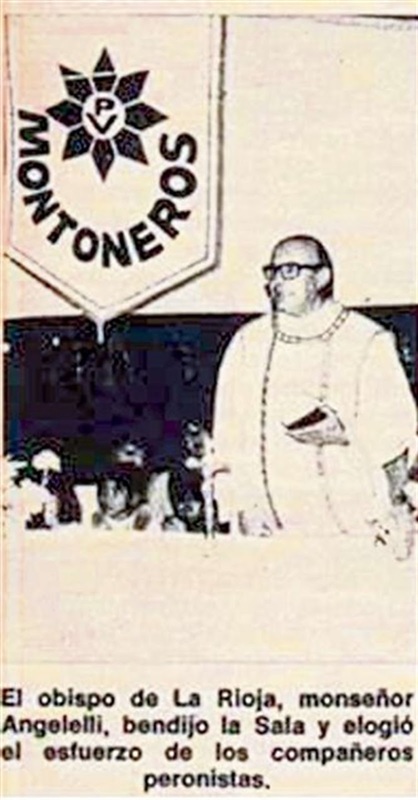 However, many years later, friar Antonio Puigjané, a guerrilla who took part in the attack of the La Tablada military base, raising arms against the constitutional [democratically elected] government of Raúl Alfonsín, made a complaint in [the province of] Neuquén in which he put forward the theory that Angelelli had been assassinated. In an opposing view, the daily La Prensa published a statement by bishop Bernardo Witte, of La Rioja, who affirmed: "We were surprised that the mysterious death of bishop Angelelli was characterized as an assassination with no sufficient evidence." Statements by an eyewitness to the event, Raúl Alberto Nacuzi, affirm that the driver was not the bishop, but Pinto, who was the one who set up the version that a vehicle was following them, and then took shelter under the supposed memory loss. After a court declared lacking jurisdiction in the matter and following the collection of new evidence and the new analysis of past evidence, the Federal Court of Appeals of Córdoba decided, in 1990, that, pondering the investigations and evidence, it was impossible to ascertain that the accident had been caused by criminal action. Other eyewitnesses declared not having seen any other vehicle at that spot, nor fleeing the accident. With the investigation over, the Court determined that, "considering that the data of amassed evidence are not sufficient to demonstrate the perpetration of a crime, in agreement with what was opined by the prosecutor before this Chamber, this Court considers appropriate the stay of the current procedure." In July 2014, the Federal Verbal Tribunal of Criminal Causes in La Rioja, considering that it was a Crime against Humanity, reached an opposite conclusion, which is not surprising, since it is guided by the prevailing view -- now as then -- that such crimes can be judged outside what is determined by constitutional and criminal law. General Luciano Benjamín Menéndez and Commodore Luis Estrella were thus convicted to life imprisonment for the "crime" (sic) of bishop Angelelli, being charged as "indirect" perpetrators, a legal construction that has been abused in this kind of trials. In this case, it allowed the conviction of hierarchical superiors of a crime that was never proved, and in which there are no "direct" perpetrators at all. The verdict considered certain that the rollover of the car in which Angelelli travelled had its origin in an intentional maneuver by another vehicle that was following orders given by military chiefs. 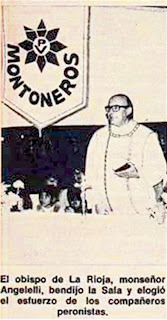 With a beatification or canonization, the Church proclaims the Christian exemplariness of the life of a person and authorizes his being the object of cult. A violent and sectarian model must never be proposed. For this reason, we do not think right the words of the current bishop of La Rioja and second vice-president of the Bishops' Conference, Marcelo Colombo, who, when receiving news of the beatification, affirmed: "It is a recognition of the brave witnesses of the Kingdom of God."